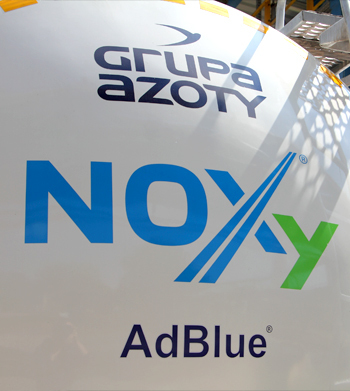 NOXy®– a chemical product also known under a registered trademark AdBlue®, is used primarily in the latest flue gas purification technologies. Its application allows for a significant reduction of nitrogen oxides (NOx), which are harmful. The reduction process is run until non-toxic water vapor and nitrogen are obtained. 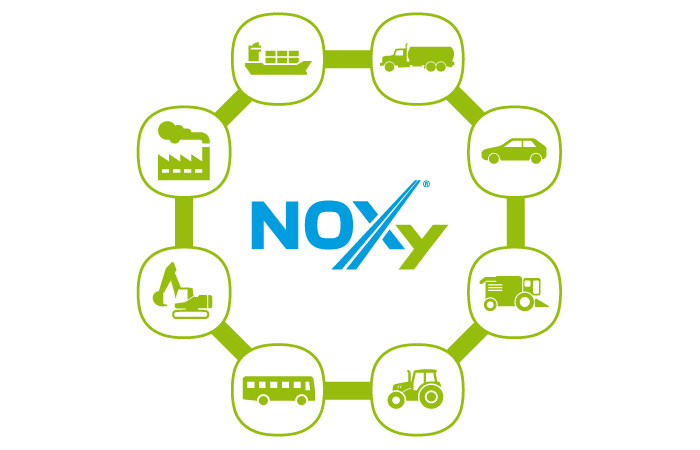 NOXy® perfectly fits in the automotive sector – also in the Selective Catalytic Reduction (SCR) systems. It therefore helps to adapt to current flue gas emission standards (including Euro V and Euro VI). possible to keep, and even extend, vehicle maintenance periods. increased vehicle value at resale. We place more and more demands on cars. We want them to be fast and ecological – to emit as little flue gas as possible. So, we created a range of products that decompose the harmful nitrogen oxides. Not only are they used in automobile, marine and other engines, but also in power plants, incinerators and cement plants.